Lentils are probably one of the healthiest things you can eat. They are packed with fiber, protein and low in fat. High in the vitamins thiamine, Folic Acid, Vitamin B and minerals are iron, Magnesium, Phosphorus, Potassium, Copper and Manganese. Also lentil are know for its satiety factor, which means you get full from eating them and makes cutting calories much easier. My mom inspired me to post this recipe. This is actually a modification of a Persian recipe called Adasi, in which “Adas” means lentil. Lentils were the main ingredient in foods of anceint Persians as they consumed them daily in the form of stew that was poured over rice. Smart people! This recipe is different than the Persian version, as they also use tumeric, lemon juice and golpar (ground angelica, dont ask me, I dont know), but this modification is quite yummy. Enjoy it with some greek yogurt for a healthy meal or snack!! 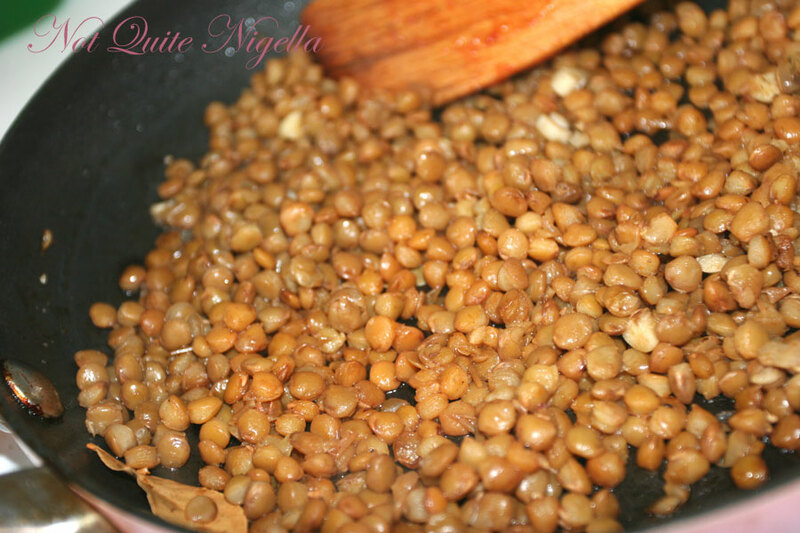 You can opt to soak the lentils for a few hours if you want them to cook faster. In a medium pot, heat oil. Add chopped onions with salt and pepper and sautee until transparent. Add chopped green pepper and tomato paste and cook for 1 minute. Add lentils and enough chicken broth (or water) to cover lentils about ½ inch over them. Bring to a boil, stirring occasionally. Reduce heat to low and let it simmer for about 1 to 1.5 hours or until lentils are soft. Keep an eye on it because they tend to soak up the water fast and you may need to add more occasionally. Add the chopped tomato at the end of the cooking period and allow it to cook for the last 30 minutes until soft. Serve with greek yogurt for a delicious and nutritious snack or meal.